Originally from Guadalajara, Esther grew up loving to be in the kitchen. Fascinated with traditional Mexican cooking, it was her passion, goal and challenge to excel at this form. 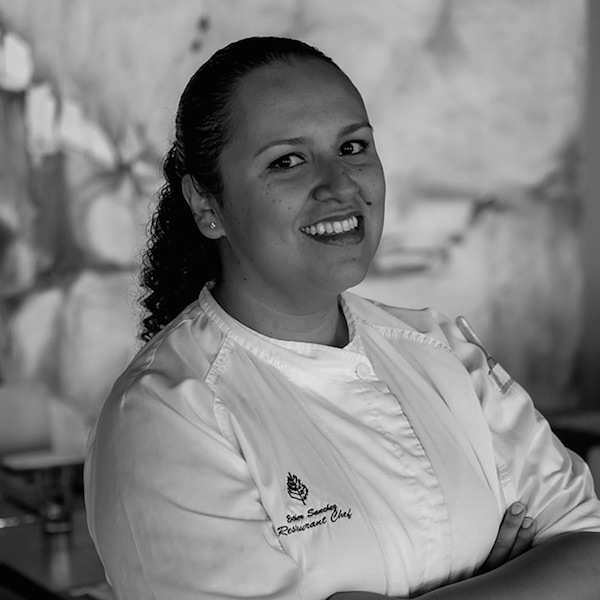 She studied at the Culinary and Gastronomy Institute of Mexico and joined the Four Seasons in Houston following her work and training in several renowned restaurants around the world. These include famous names like Arzak, Spain or Sofitel Porte de Sèvres. In 2008, she returned to Mexico to join Four Seasons Resort Punta Mita where her dream came true. Her dream to have the freedom of settling in Mexico and to continue growing and expanding her knowledge. She was recently promoted to Chef of Aramara Restaurant, the Asian fusion concept at the resort. She always strives to incorporate fresh and locally sourced seafood as well as market produce.